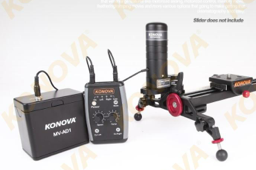 Posted in DIY Equipment, DSLR Slider, Equipment Reviews, konova, Video Dolly. Tags: Konova Crank Pulley, Konova Motor, Konova Motorized, konova slider on April 8, 2012 by Emm. I did receive this response from Konova a few minutes ago....so hopefully some helpful info here you can use. Comment: Does the Basic Time Lapse Controller Kit have start stop feature for long exposure time lapse (30 sec exposures for astro photography)? Me again. No updates from you about the smart controller. Opinions? I am thinking of ordering one finally. Is it worth compared to other solutions in the market? Cheers! @Archie - It supports more load, is a bit more stable (under heavy weights) but I feel they are equally as smooth. No difference in smoothness for myself. The bearings are adjustable which also changes the drag through the rail. Maybe some people have it looser than others, which is why the results are different. Thanks for the reply Emm. Will wait for you to post about the Slidecam S. In the meantime if you could please elaborate on K3 v KS. does larger bearing & wideness help in increasing load capacity only or also in smoothness? Any experience with both? While on the Konova website it says K5 is smoother, the reviews by people suggest the opposite. @Archie - The K5 is a bit wider and has larger bearings than a K3. This translates to just a bit more weight, but not too much. 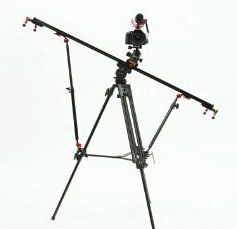 There's another slider from Varavon called the 'Slidecam S', that I need to find out about pricing on. It's in the same range as a K3. Cameras to be used - T2i, 5DMarkII and maybe BlackMagic with decent lenses. I guess it couldn't be used for astronomy timelapse either, because it's gradually moving? not good for long exposures, right? Other than timelapse applications for which a slow speed would be better, I really don't see the need for a motorized slider - can anyone explain why/how it might be useful? To me it just seems like laziness and/or more time fiddling around with gear instead of just capturing the action and getting on with telling a good story. Can these motors be set to reliably repeat the same move several times? (i.e. for motion control applications). Thanks for the post Emm. Just like to point that this 60-rpm gear motor is not powerful enough to pull the 60D with battery grip all the way up. Had to remove it then it was alright. A 40-45 rpm motor should do fine. No problem at all for the Konova motor but too slow unless you speed up footage by 800% in post, which looks good I must say.